The Aggies of North Carolina A&T remain in the top spot for the third-straight week after going 2-1 last weekend, including a series win over Mid-Eastern Athletic Conference foe Florida A&M. Another MEAC foe in Coppin State takes over the No. 2 spot in the poll after a 2-1 weekend series defeating Maryland Eastern Shore. Alabama State moves up into the No. 3 spot, Southern University falls two spots to No. 4 while Jackson State jumps up four spots to No. 5 to round out the top five. 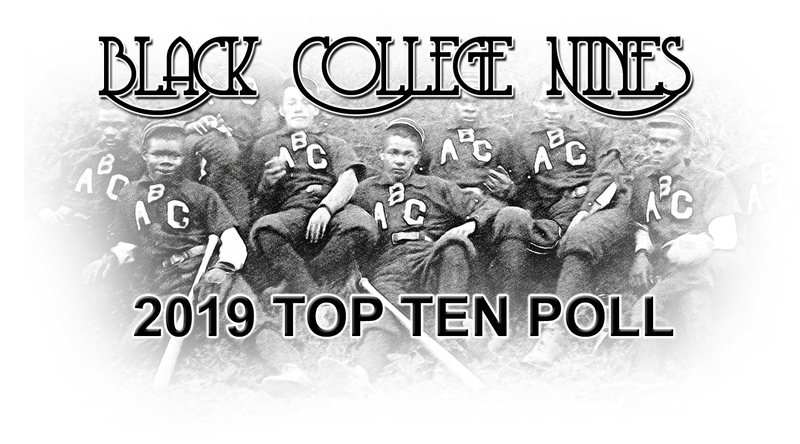 The remaining Historically Black College and University (HBCU) teams in the large division top 10 poll as announced by Black College Nines (BCN) on April 9, 2019 are North Carolina Central, which climbed four spots to No. 6, Grambling State, which dropped to No. 7 and Bethune Cookman remained at No. 8. Norfolk State fell two spots to No. 9 and for the first time this season, Alabama A&M cracked the top ten at No. 10. Jarvis Christian is the new No. 1 ranked team in the small school division made up of NCAA Division II schools as well as those in the NAIA and USCAA. The Bulldogs, (28-16 overall), went 4-2 in splitting a doubleheader with NAIA No. 17 Texas Wesleyan University, then took three out of four games from Red River Athletic Conference (RRAC) rival Huston-Tillotson this past weekend. Winston Salem State remained at No. 2, Claflin jumped to No. 3 and Selma jumped to No. 4. The biggest drop in the poll was Kentucky State, who went from number one after a 2-2 week to No. 5. The remaining small school poll shows Talladega at No. 6 and Albany State at No. 7. Benedict jumped two spots to No. 8, Florida Memorial fell five spots to No. 9 as Miles jumped into the top 10 for the first time at No. 10. The Mid-Eastern Athletic Conference and the Southwestern Athletic Conference both have five teams in the Top 10 while in the small school the Southern Intercollegiate Athletic Conference continues to have four representatives. As the college baseball season concludes, champions will be named in two divisions… the “large school” division will be composed of the 19 HBCU schools representing NCAA Division I and a “small school” division made up of the 30 HBCU schools with NCAA Division II, Division III, NAIA and independent status.